Take the guesswork out of designing your package by involving your consumers in the process. A Packaging Concept Sprint gives you the ability to test out new packaging designs, claims and communications with consumers prior to launch - in as little as 1 day. Get on demand feedback to prioritize product benefits, optimize your communications and build the ideal solution. Digsite participants use a combination of discussion, voting, photo/video uploads, survey responses, and image mark-up activities to optimize your packaging design. Organic Valley needed to test packaging concepts for an on-the-go breakfast drink. The team had their own differing internal ideas about which of their packaging designs would best resonate with their target audience. 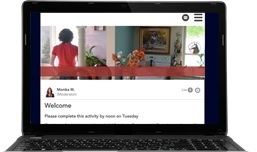 So, Organic Valley turned to Digsite 1-Day Sprints for a quick, efficient and cost-effective way to gather feedback from their target audience. 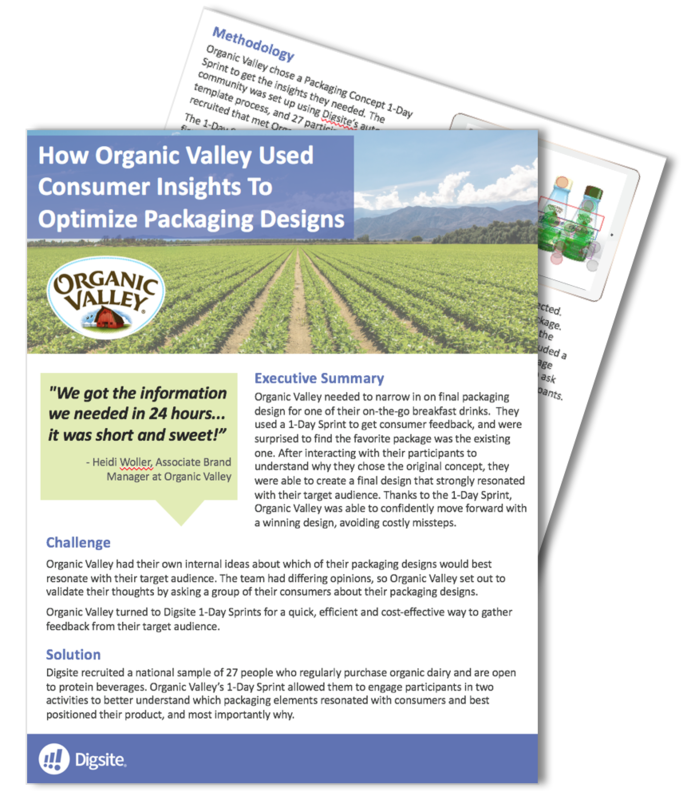 Organic Valley set out to validate their thoughts by asking a group of their consumers about their packaging designs.